From music school to home, from recording studio to backstage dressing room, the pocket-sized VT-12 is your ultimate traveling vocal coach. With a variety of built-in exercises and warm-ups for improving your vocal skills, the VT-12 provides real-time analysis of your pitch while you sing so you can visualize your progress. The illuminated pitch meter displays your pitch, and can even detect two singers simultaneously for two-part harmony training in equal temperament and just intonation. The VT-12 also has onboard vocal guides and backing tracks based on the bundled book from Berklee Press (the publishing division of Berklee College of Music), plus 50 etudes from the world-standard Concone classical vocal lessons. As you sing, the VT-12 tracks your pitch and displays it in real time in half-step increments with an easy-to-see illuminated pitch meter that responds quickly and accurately. The meter brightens as you approach the correct pitch and darkens as you move further away. If the guide tone is being played, the note name of the guide tone is displayed. You can play the guide tone (over a range of 24 semitones) with a button to listen to the correct pitch. In addition to personal practice, this is also a great tool for vocal teachers to show their students when they’re singing the correct pitch. You don’t have to use the VT-12 alone! You can practice with a teacher or a fellow singer, and the VT-12 will detect the two voices simultaneously and display the note names. There are three pitch-detection modes onboard: MONO EQUAL (one voice detected using equal temperament); CHORD EQUAL (two voices detected using equal temperament); and CHORD JUST (two voices detected using just intonation/major). Choir members or a cappella groups can use the VT-12 to visually check if their harmonies are correct. For singers, pitch is essential, but timing is equally important. The VT-12’s built-in metronome is a great tool for building timing skills, and it’s easy to use — just select a tempo manually or in real time with the tap tempo feature. During vocal lessons, the teacher can ask students to clap the upbeat or other rhythm patterns along with the metronome to build their time sense. The tuner feature works at the same time, so you can practice singing the correct pitch while following the metronome. Bundled with the VT-12 is a book and accompanying audio tracks developed by Berklee Press (the publishing division of Berklee College of Music). Vocal Workouts for the Contemporary Singer teaches important physical stretches (with illustrations), plus breath control, vocal care tips, and more. The onboard audio warm-ups include slides, descending fifth runs, and others. There are also built-in practice songs with guide vocals and backing tracks in a variety of genres. Minus-one backing tracks are provided as well as two- and three-part harmony exercises, from which you can select tracks with muted parts for practice. For the warm-ups and basic-level exercises, the VT-12 displays the pitch of the guide vocal and the pitch you’re singing at the same time. The VT-12 is loaded with world-standard Concone Op. 9 Fifty Lessons classical voice exercises. Each of the 50 etudes has guide melodies with real-time pitch display and piano accompaniment for medium voice. If desired, you can turn off the guide melody and sing along with only the piano tracks. There are also selections from the G. Schirmer collection of 24 Italian Songs and Arias distributed by Hal Leonard – essential for classical voice training. When you play the onboard warm-ups and songs, the VT-12 automatically records your voice — just sing and review. To listen back, simply press the REVIEW button*. You can also use the Review feature in conjunction with the metronome to check your timing. *“Review” recordings cannot be saved. As soon as you play the same song or start the metronome again, the VT-12 will overwrite the previous recording. The VT-12’s recording feature lets you easily integrate other devices into your lessons and practice sessions. 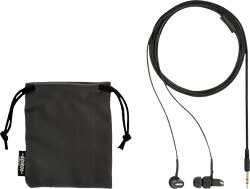 With an MP3 or CD player connected to the REC IN (stereo mini) jack, voice teachers and students can add their own content to the VT-12. Ten memory locations are provided, with up to 10 minutes of recording time for each location. Recording is incredibly easy: when you plug into the REC IN jack, the VT-12 automatically goes into record-standby mode. Simply select one of the 10 user tracks, press the Start/Stop button, and start playback from your external device. When you’re finished, press the Start/Stop button again. That’s it! 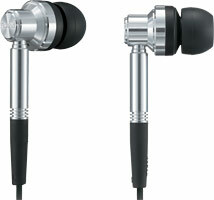 After that, you can record your voice along with the user tracks and evaluate your performance with the REVIEW button. Copyright © 2006 by Berklee Press, www.berkleepress.com. BERKLEE PRESS is a trademark of Berklee College of Music, Inc. Used with permission. All Rights Reserved. Selections from the G. Schirmer publication entitled “Twenty-Four Italian Songs and Arias of the Seventeenth and Eighteenth Centuries,” catalog #50481592. Copyright © 1984 (Renewed) by G. Schirmer, Inc. (ASCAP) New York, NY International Copyright Secured. All Rights Reserved. Alkaline (AA, LR6): Approx. 6 hours * These figures will vary depending on the specifications of the batteries and the actual conditions of use. 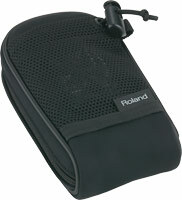 Cushion-lined, carrying pouch for recorders such as the R-05 and R-09HR. 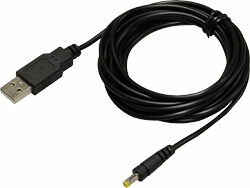 USB-to-DC power supply cable for the R-05 WAVE/MP3 Recorder and VT-12 Vocal Trainer.